In an industry known for its love of buzzwords and hype, artificial intelligence (AI) has become marketing’s new ‘big data’. But where big data ultimately led to new layers of complexity, AI promises the opposite. Big data forced marketers to become data scientists (or hire them, if they could be found), but AI holds out the hope that marketers may get to go back to doing what they signed up for the in the first place. 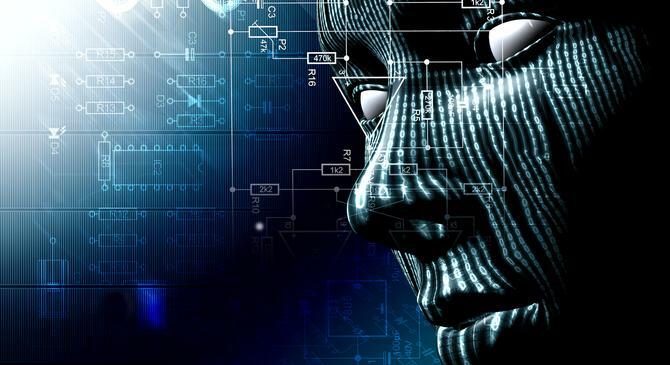 Recent months have seen technology providers such as Salesforce, Oracle and Microsoft bring new AI-based technologies to market, promising to derive insights and improve conversions by mimicking the processes of the human brain in software. Salesforce, for example, is rolling out its Einstein AI technology to provide functions such as product recommendations within the Commerce Cloud, email content recommendations within its Marketing Cloud, and predictive forecasting tools for sales managers with its Sales Cloud. According to Salesforce’s Asia-Pacific head of product marketing, Derek Laney, Einstein is a response to the desire of many marketers to improve processes and gain greater insight through data science – one often stifled through the difficulty many organisations have in hiring data scientists. “If you think about what a marketer wants to do, it is probably not to learn data science technologies,” Laney tells CMO. “The key problems they are trying to address are what’s the right method or channel to interact with the customer, what is the right message or content, and when is the right time. And applying data science to those three problems can make a marketer much more productive. While marketers often create rules-based systems for interacting with customers, Laney says this can be automated with AI. The machine can look at individual’s behavioural data and make recommendations without having to create rules. “I am never going to know why this individual customer got this this particular message at this time, because there is no particular rule that’s been followed,” Laney says. “The machine is using data science to match that in a much more fuzzy way. Oracle has also bought into the AI revolution through its acquisition of the Maxymiser testing and optimisation tool, which is being married up against other assets such as its Bluekai third-party data marketplace. The declining price point of the technology required to run AI-based algorithms is also opening opportunities for a raft of new startups, with some surprising capabilities. Up next:, and uses natural language processing and pattern recognition to make recommendations. Nugit’s Smart Story Technology takes data points across an organisation or campaign and constructs a presentation of 20 or 30 slides that focus on the most important opportunities, free from personal bias. Nugit can absorb up to three years’ worth of data in just 15 minutes, and has developed modules that can assist in 50 marketing processes to date, with more to come. “With machine learning we can look at hundreds of thousands of similar situations to give much better predictions,” Sanderson says. In one example working with Facebook, Nugit applied its technology to a task that was taking analysts two weeks to complete, and delivered it in 10 minutes. “Now Facebook licences our technology to increase its turnaround time between when they have a question and when they receive an answer,” Sanderson says. One field of AI that is emerging rapidly is that of intelligent bots, as typified by platforms such as Apple’s Siri or Microsoft’s Cortana and the many other automated chatbots now appearing on websites. Microsoft is betting heavily on bots, and recently created a new division to drive the technology into all Microsoft platforms and services through its Cognitive Services group. Hopefully the outcome will be something better than just ‘Clippy’ on steroids. Kavanagh says a key role for AI will be in customer service, enabled through Microsoft’s Bot Framework. Whereas rules-based bots have been in existence for some time, these systems required human intervention to learn. Kavanagh says the goal for Microsoft is to create bots that can learn for themselves. “Now we are starting to think about how do we constantly adapt those, not just train them once on a model, but continuously think about how the model gets adapted based on new information that you get or responses to certain questions,” he says. According to global head of data and artificial intelligence at Publicis.Sapient, Josh Sutton, this will lead to a new era of AI-driven conversational commerce, as people interact with websites or apps in the same way they might another person.